A simple and clean Holophane electric you can place anywhere you walk underneath, over a kitchen sink or several in a hall way. 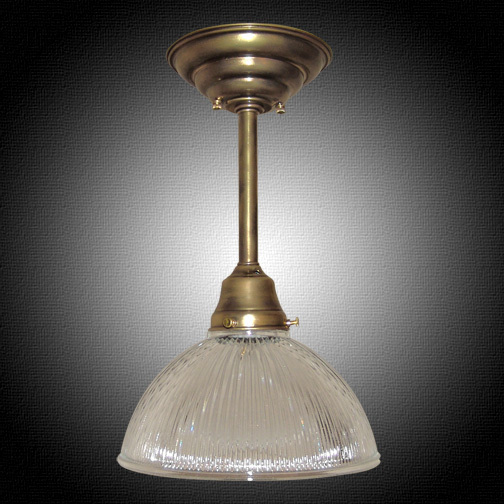 Extend it for a lovely island light, or keep it short for a kitchen task light. Available with our many Custom Options.